I’ve also replaced the sago with soaked chia seeds and had this for breakfast! For the sago: Rinse sago in a strainer with cold running water until the water runs clear. Place sago in a bowl and cover with water. Cover and set aside for 4 hours. Drain sago and place in a pot of boiling, salted water, then reduce heat to low. Simmer for 6 minutes or until sago becomes transparent. Strain and rinse under cold water until sago is clear of starch and cool enough to handle. Drain. Place sago in bowl and add beaten egg white. Stir to combine. Divide mixture into individual small dessert bowls. 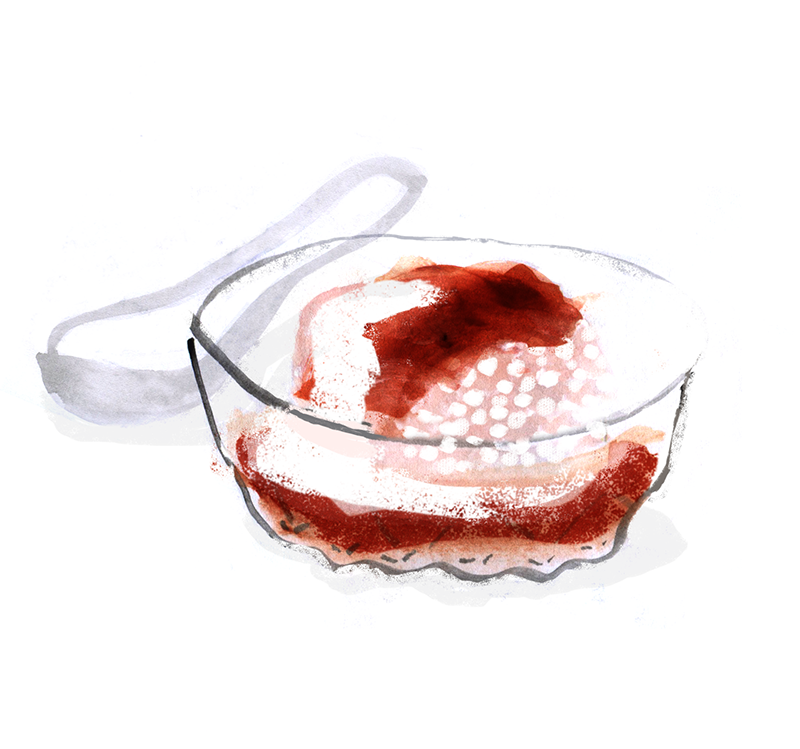 (You can also put sago into one larger oiled jelly mould.) Cover with plastic wrap and refrigerate for 1 hour or until set. For the Coconut Milk: Place coconut milk, pandan leaf and pinch of salt into a saucepan. Bring to a boil over low heat until it starts to bubble. Stir constantly and reduce to a simmer for several minutes. Set aside to cool. 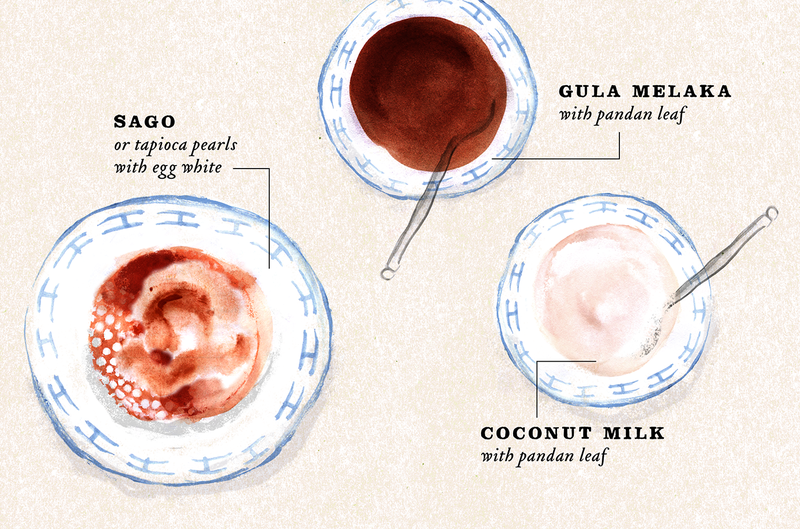 For the Palm Sugar Syrup: Melt palm sugar, three tablespoon of water and knotted pandan leaf over low heat. It should take about 5 minutes. Simmer for a few minutes until slightly thickened. To serve, drizzle coconut milk and palm sugar syrup over chilled sago.